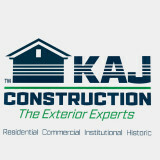 We are an exterior home and building improvement company, grounded by great people that love the craft. We’re changing the face and reputation of the industry by uniting top quality products, 20+ years of experience on New England homes, innovative technology and some of the most talented and kind people on earth. Our niche is long-term, low-maintenance roofing, siding, windows, doors and painting solutions. Our passion is creating a company people love to work for and customers are proud to refer. Our promise is to do everything we can to help you love your home or building again. Based in Ashland, MA, and founded in 1998 by John Dudley and his father, we are family owned and professionally operated, servicing Massachusetts, Rhode Island, Northern Connecticut and Southern New Hampshire. Contact our team for a customized, hassle-free estimate on residential and commercial roofing, siding, window & door replacement and painting. Using our experience of more than 12k projects, our knowledgeable and friendly estimators work with you to provide creative solutions to fit your home, style, and budget. The UBrothers is a locally owned and family-operated business.We are a fully licensed and insured home improvement contractor proudly serving Greater Boston & Surrounding Areas. Owner on site provides crystal clear estimates and scope of work Decades of Trusted Since 1986 we have the experience to provide each and every customer the knowledge to make proper product buying decision for almost every budget. As exterior specialists, our focus is to provide a complete exterior solution for your home or light commercial building with just 1 contractor from conception to completion. Our installation team is segmented by the product installed, therefore "mastering" precise installation techniques and job flow creating the best in class product application in a timely finish with factory warranties. We have 1,000's of very happy clients and our quality of work is 2nd to no one. Feel free to reach out to us, we would love to hear from you! We are family operated in our area for over 20 years. We at Bay state offer free estimates. We do quality workmanship on every job we touch. Also Bay state covers the customer from beginning to end of project from first estimate to the install our family does it ourselves. We're a local company committed to serving the community in which we work and live. Part of that commitment is doing the job correctly. Quality craftsmanship on every single project is our number one priority, and over time, it really shows. By going out of our way to emphasize attention to detail, durable construction, and correct installation, our decks, roofs, and siding last longer and look better. Why settle for a rush job when you can get true quality--at a great price--from the deck builders, siding installers, and other pros at Solid State Construction! Eagle Custom Building has been providing excellent service in the remodeling industry since 2001. We maintain communication to continually build trust and confidence in the client/contractor relationship assuring you that the final product is achieved. Lydon Exteriors has been in business since 2001. You will find that our experience and expertise will satisfy your home improvement needs in the great state of Massachusetts. Owner, Patrick Lydon, has been in the business for over 20 years specializing in exterior home improvement. All In One Contracting Services is a full service home and multi-family property remodeling company that specializes in exterior building renovations. We are committed to the highest level of customer service, satisfaction, and retention. We achieve this mission by combining the most technologically advanced construction practices with time-honored hands-on customer service. All In One Contracting Services was founded by David Bradley, who holds a Bachelor of Science degree in Building Construction. With 30 years of experience in residential and multi-family construction, David brings integrity and thoughtful attention to detail throughout the construction process. All In One Contracting Services has the experience with James Hardie products and installation that you need. With over 20 years of experience installing James Hardie Siding products on over 1400 homes and condos, we are the safe choice for your project! STONEYARD® hand-crafts New England Stone Veneer made from real stone right here in the USA. Our New England Stone Veneer product line consists of both quarried and weathered natural stones that have been cut thin (1 inch thick). The beauty and durability of this real stone is light enough to be installed on both interior and exterior surfaces. It can be used as stone siding, on fireplaces, chimneys, foundations, interior accent walls, columns, or any other architectural construction project that demands the finest surface covering. Stoneyard natural Stone Veneer is crafted from real stone. This is NOT manufactured, not fake, not cultured, and not man-made. Our stone is not made from cement and additives. This product is 100% made in America from natural stone found in the U.S.A. We start with large pieces of real stone gathered throughout Massachusetts, Connecticut, Rhode Island, New Hampshire, Vermont and Maine. We then sort the stone by size, shape and color. Experienced stone craftsman split and saw this natural material into Stone Veneer Siding for use in your building project. This is a green building material that has been recycled and reclaimed from stone that was deposited throughout New England in the Northeastern corner of the United States during the last Ice Age over 100,000 years ago. Our stone siding, veneer or cladding, is used for the construction of homes, offices, buildings, fireplace, chimneys, hardscapes, landscapes or any other architectural building project that demands the finest materials that are also cost effective, visually appealing and long lasting. We ship nationwide. Call us today! Advanced Roofing, Siding and Windows Inc.
Our craftsmen are highly trained and experienced to handle any of your Roofing and Siding needs. So sit back and relax, you're in good hands. Advanced Roofing, Siding and Windows Inc. is certified by the largest roofing and siding manufacturers in the industry today. Having earned the certifications of GAF Master Elite, Certainteed Select Shingle Applicator and James Hardie Preferred Contractor, we are able to issue you the best warranties on the market. We know you have many choices when it comes to selecting the right products and installers for your project. We are here to help you through the process of selecting products so you get the best solution for your home. We work hard to ensure the process is easy and comfortable for you. ICS is proud to provide the greater Boston Area with residential and commercial contracting services. With painting, roofing, and siding as our specialties for over 10 years, we are committed to understanding your individual needs and to tailor our services accordingly. Our team will always consist of talented professionals so that we can provide the highest level of service. Our pledge is to establish lasting relationships with our customers by exceeding their expectations and gaining their trust through exceptional craftsmanship. Jancon Exteriors offers the highest quality craftsmanship and unmatched level of expertise on every single project. We are known for our skilled craftsmen and their attention to detail. All of the professional siders, roofers, estimators, and project managers have completed trainings from the largest manufacturers of products and the largest independent contractor network in the country. Jancon Exteriors employs their own installation crews and maintains all the necessary industry certifications. We emphasize attention to detail and correct installation on all of our exterior remodeling projects so not only do they look better but last longer. We also offer full time customer service for continuous support and communication and back all of our completed jobs with a 25 year workmanship warranty. Since our founding in 1980, Northeast Home & Energy has been providing professional home improvement services in Massachusetts and surrounding areas. Starting out as a small contractor, our reputation for using quality materials, installed to the highest standards, quickly spread. 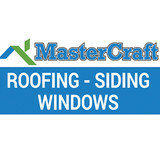 We install high quality roofing systems, gutter systems, vinyl siding and replacement windows. David A. Rioles, originally from Johnston, RI has been in the custom home building industry for over twenty years. He is an expert in roofing, siding and windows. He is a Mastic preferred contractor, a Certain Teed certified ShingleMaster and can build a home from frame to finish. David only uses the best quality products and provides a lifetime warranty on all of his products and labor. David answers the phone when you call. “Customers like when the owner of the company answers the phone” says Dave. David currently resides in Smithfield, RI. The siding of your home is a hugely important factor when it comes to first impressions; a damaged or mismatched exterior can cast a negative light over a property’s entire aesthetic! If you need new siding installed, or your exterior is in need of repair, repainting or replacing, a Newton, MA siding and exterior contractor can help you out. What types of siding services do Newton exterior contractors provide? Wood siding needs more maintenance than less-expensive, low-maintenance vinyl siding, but with proper care it will outlast vinyl siding, which can fade and crack over time. Your Newton, MA contractor might also suggest fiber cement siding, which is fire resistant and termite-proof and can come with a warranty of up to 50 years. Find siding and exterior contractors in Newton, MA on Houzz. Narrow your search in the Professionals section to Newton, MA siding and exterior contractors. Find out how long a Newton, MA exterior remodeling contractor has been in business, view portfolios, read reviews and get contact information.